The WAN needs to be reinvented. Driven by myriad transformations from across the mobility and cloud landscape, organizations are realizing the limitations of traditional network connections used to provide connectivity for remote sites to corporate datacenters and the cloud. 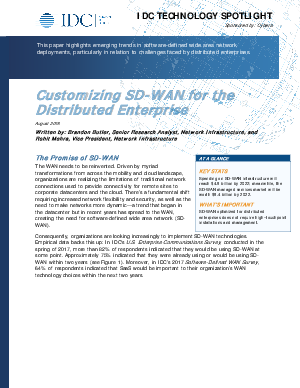 There’s a fundamental shift requiring increased network flexibility and security, as well as the need to make networks more dynamic—a trend that began in the datacenter but in recent years has spread to the WAN, creating the need for software-defined wide area network (SD-WAN).